Pocket catheters are one of the most talked about types of intermittent urinary catheters these days! Why? Our customers tell us they love their convenience, ease of handling, and their ability to be carried discreetly. Learn all about pocket catheters and other travel-ready intermittent catheter options! What Is a Pocket Catheter? A pocket catheter is a widely-used phrase that covers a few different styles of catheters for men, women, and children. The most important feature of a pocket catheter is that the packaging is small and discreet. Many people prefer a catheter that can be easily concealed in a pocket, purse, briefcase, backpack, or makeup bag. Depending on the brand, you can even hold some pocket catheters in the palm of your hand as you walk to the restroom. Intermittent catheters are usually packaged in a straight or longer parcel. Since the typical female length catheter is about 6 to 8 inches in length, catheters for women are already fairly easy to conceal. However, pediatric length catheters are 10 inches or longer, and male length catheters are 16 inches, so kids or men who cath using these lengths may want to find a more discreet catheter option. What Options of Pocket Catheters Are Available? Many versions of pocket catheters have all the familiar, high-quality features of the catheters you may already know and use. 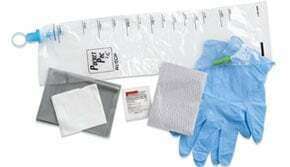 Variations are available in different brand options such as size, shape, and additional accessories like insertion supplies. We’ll always keep you updated on the latest catheter products that become available. Here are a few of the different options you may be interested in learning more about. 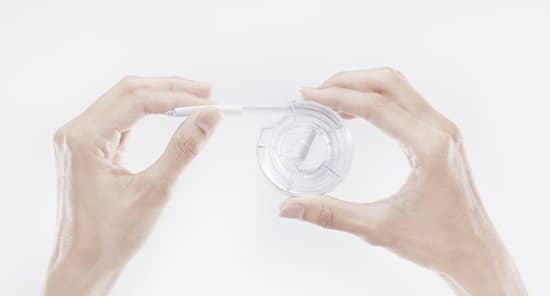 Cure Medical has a pocket version of its standard straight male-length catheter, the Cure U Pocket Catheter, where the entirety of the flexible catheter tube is curved to make the packet smaller, discreet, and more compact. 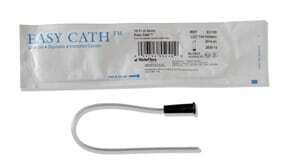 Cure’s catheters are made with high-quality material and will not kink when bent. 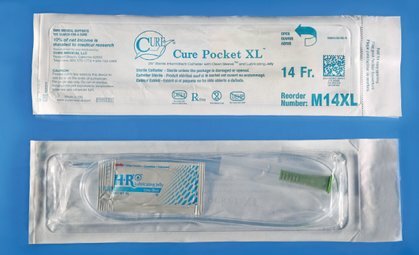 Cure also has a few other travel-ready options, such as a pocket catheter with lubricant included for your convenience and an extra-long pocket catheter (25 inches long), the Cure Medical® Pocket XL (pictured to the right), which is great for those who often use extension tube connectors or are in wheelchairs. The Rusch EasyCath™ Pediatric Pocket Catheter (pictured to the left) is great if you’re looking for a pocket catheter for your child. Once extended from the package, this high-quality vinyl catheter is 11 inches for easy manipulation, It features polished eyelets for smooth insertion. If your child is starting to self-cath on their own and needs a discreet catheter option to carry in their backpack or their pocket at school, a pocket catheter like this may be a good choice. Cure Medical’s new pocket catheter for both men and women features their exclusive CoverAll™ lubrication technology. This ensures an even, smooth distribution of the lubrication as you remove the catheter from its small, easy-to-open package. The design is environmentally friendly and simple to dispose of with minimal waste. The Ultra is available in a straight insertion tip for both men and women. There is also an option with a curved or coudé tip for those who have difficulty passing a straight tip, the Cure Ultra Coudé Male Catheter. For women who want a more discreet option, the Cure Twist for females is a great choice. The Twist’s package design is similar to a mascara tube or lipstick. It has an easy-open twist top. It comes pre-lubricated and ready to use. As soon as you’re ready, you can self-cath with no worries about mess or dripping. A similarly discreet item (pictured to the right) comes from Coloplast, a brand that has been around since 1957. Their mission is to develop products that make life easier on those who have medical needs, and the Coloplast SpeediCath Compact is certainly a product that fits that description due to its discreet packaging and ease of use. Available for both men and women, it is designed to look like an everyday item like a cosmetic product or a marker. The female length Compact is approximately 2.75 inches long, perfect for discreetly fitting into your pocket or packing in your suitcase for a vacation without worrying about too much additional bulk alongside your other toiletries and clothes. The SpeediCath Compact for Men (pictured at left) is also ultra-discreet with a telescopic design that is less than half the size of a standard male catheter. These also come in a set with an integrated collection bag that is instantly ready to use, available both in male length and female length. The CompactCath has a revolutionary design for ultimate privacy and ease of use. 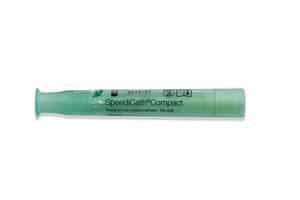 It looks unlike any other catheter on the market today. A small palm-size plastic case holds a coiled flexible catheter, which makes it easy to pocket or carry. Furthermore, this unisex catheter is also touch-free. A silicone-based oil pre-lubricates the catheter-tube to aid in a comfortable insertion. It completely elimiates the need to carry lubricating jelly separately. Closed system catheters are a type of intermittent catheter with an all-in-one collection system. Often, they feature an introducer tip to bypass the highest concentrations of bacteria in the first few millimeters of the urethra, which may reduce the risk of infection. Closed system catheters have attached collection bags, which gives you the freedom to self-cath wherever you have privacy, making it an ideal choice for those in wheelchairs, children, and those who are frequent travelers. There are some discreet closed system catheter products that offer even more privacy when you carry them with you, such as the Hollister VaPro Pocket Plus, the Hollister Advance Plus Pocket Catheter System, and the Rusch PocketPac Catheter Kit (pictured to the right). 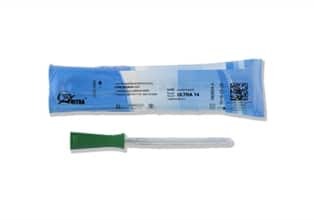 Many of the intermittent catheters we carry are of such high quality that you can roll it or curve the packaging inside your pocket without kinking the tube itself or damaging the catheter. Typically many of our pre-lubricated and hydrophilic catheter options are travel-ready and can be discreetly tucked away. For example, the GentleCath™ Glide, available for both men and women, is a great option for privacy as well as comfort. Designers of the Glide used feedback from real users of catheters to create a new catheter option on the market. 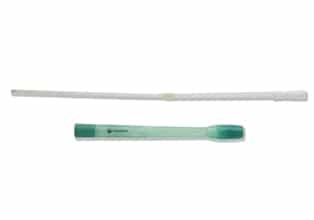 This hydrophilic catheter is a great option for people who prefer a discreet cathing experience with less mess. 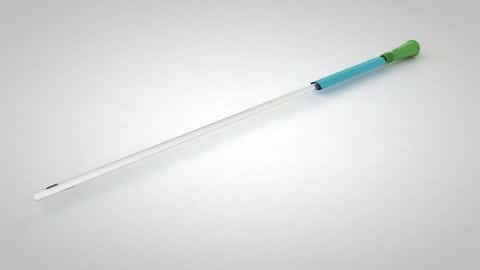 Take a look at more great options in our catheter showcase today! How Can I Find the Right Pocket Catheter for Me? Do you know if your catheters are covered by insurance? 180 Medical gladly verifies your insurance plan for you, and our friendly specialists will fully explain your catheter coverage. Contact us today to speak with one of our catheter experts. Together, we’ll find the right pocket catheter for your needs! Disclaimer: Please note this post’s intent is to provide a general understanding of discreet catheter product options. Please do not use this information in place of the recommendations of your professional healthcare provider. The Actreen Mini Cath is a great option for women who self-cath and want a discreet, low-profile female catheter option. Find out more! Find out more about one of the newest ready-to-use coudé catheter products on the market, the Speedicath Flex Coudé intermittent catheter. Looking for the best catheters for women? Find out about the three main sub-categories of female intermittent catheters to learn which may be the right kind for your needs!